The AGARTOS is a unique example of a successful fusion. 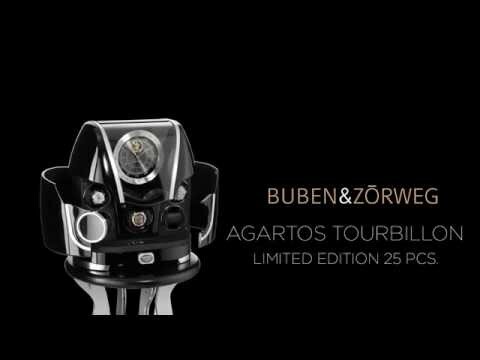 Passionate watch collectors will feel compelled to call the masterpiece their own when their eyes come to rest on the BUBEN&ZORWEG TOURBILLON integrated in the dial (luxury version). Both the luxury and light versions have a porthole that allows the beholder to catch a glimpse of the "intrinsic values" as they move in perfect harmony with time. The AGARTOS is more than "just" a precious clock: the doors swing elegantly open to display the otherwise heavily guarded precious timepieces of the passionate collector against a befitting background. Innovative sensor technology grants access exclusively to the owner of the AGARTOS.